Sure South Atlantic (SSA), a member of the Batelco Group, provides telecommunication to populations on St.Helena and Ascension Islands and Falkland Islands. 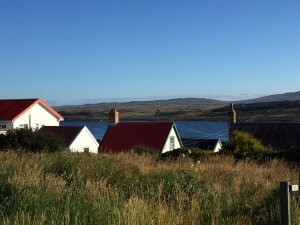 For Falkland Islands, SSA was looking to update their cellular network to support the latest 4G LTE technology and offer mobile broadband services to their customer. They chose Star Solutions to deliver a full upgrade of the existing network infrastructure in addition to adding 4G LTE broadband data. The ideal solution for Falkland Islands was to leverage Star Solutions’ Sonata MSC/HLR and Sonata EPC core network platforms to build their updated network. These core network components were connected to a network of IP based 2G+4G basestations to offer GSM+LTE services including CSFB for voice. The network will be integrated to support inbound and outbound roaming as well as offer pre- and post-paid billing to its customers. Star Solutions’ core network platforms are highly scalable and enable smaller network operators to take full advantage of new technologies while not having to invest large sums of CAPEX. These scalable systems are easy to deploy, consume less power and take up far less space than traditional, or conventional, big vendor systems. The Star Solutions team has over 25 years of experience in the deployment of mobile networks which our customers can benefit from when it comes to ongoing support, integration of third party platforms and also external networks. Contact Star Solutions to see how we can help you build or expand your mobile wireless network.